Elderberry bouquet 100g (web clearance) - Monsieur T.
Don’t over analyze it. You know when you found the right one. (I am talking about tea of course). On Valentine's Day, flowers are always in order. But flowers in a tea, would really be more durable, don’t you think? This rooibos tea with elderberry flowers and strawberry, enhanced with peppermint, is subtle and delicate. Just like that special someone in your heart. 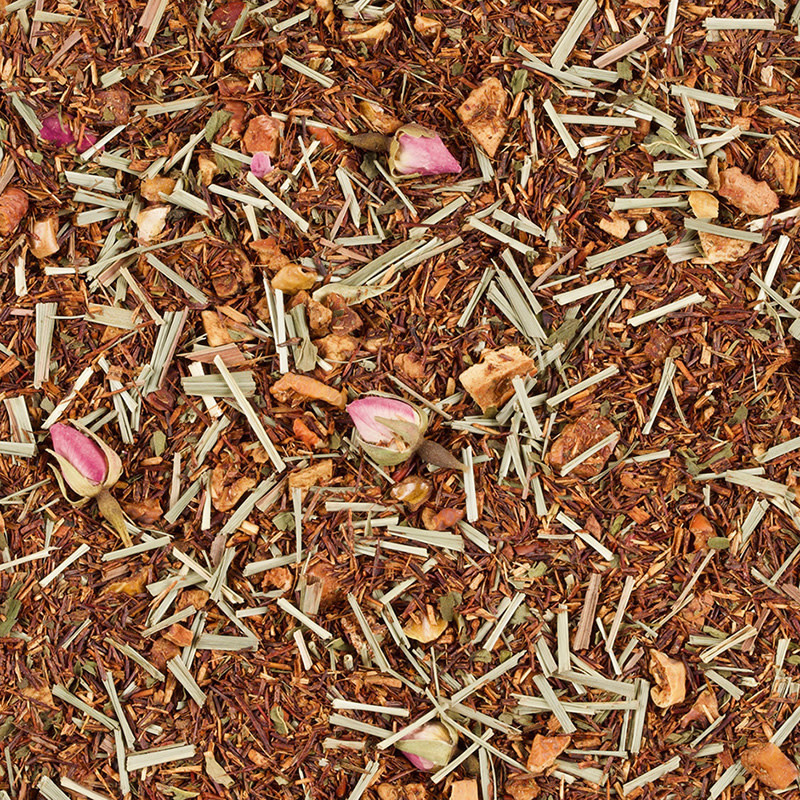 In addition, the apple and lemongrass give it a fruity taste that is usually not found in rooibos. You will then be able to start your date with an easy going witticism " this tea has rather unusual aromas for a rooibos ", thus demonstrating the extent of your charm and culture. Contains: Rooibos, apple pieces, lemongrass, peppermint, rosebuds, elderberry, crunchy freeze-dried strawberry yogurt, strawberries, natural flavor, concentrated black carrot juice, acidifying agent: citric acid.